Sheesh. I’ve actually been keeping this site fairly active lately. I guess 10% of the reason is because I keep finding really good stuff that I want to share. The other 90% is me trying to avoid starting my new ebook. I’m great once I get started but actually writing that first chapter is like pulling teeth. Anyways, I just wanted to give a quick shout-out to another blog that I think totally rocks called Traffic Exchange News. If you use traffic exchanges you know that every day your inbox gets filled with emails from owners trying to get you to surf their exchanges. Sometimes I just delete these but if I plan on surfing there are usually some really good specials that get me to surf one exchange over the other. Traffic Exchange News sorts through all of these emails every day and lists all the exchanges that are having specials. I’d be lying if I said I had never thought of doing something like this myself. However I know that I would get bored and I probably wouldn’t last more than 2 weeks. Somehow Keith manages to do this almost every day making it one of the best resources for traffic exchange users. If you plan on surfing any traffic exchanges today make sure you check out Traffic Exchange News first. In my last post I talked about how to use free viral reports to drive traffic to your websites. If you missed it, you can read it here. One of the best way to insure that your report or ebook goes viral is to make it rebrandable. Creating a rebrandable ebook gives people the ability to replace some of the links in your ebook with their own. This gives them more of an incentive to distribute your ebook to other people. Until recently there hasn’t been a good way to create rebrandable ebooks that were easy for the end user to rebrand. My previous rebrandable ebooks required the user to download a second ebook where all the links were replaced with special codes. They then needed to download and install special rebranding software to create their new rebrandable ebook. I usually had to create special instructions on how to use the rebrander and sometimes I ended up having to do it for them. Jay Hines just released a new tool that makes creating rebrandable ebooks a snap! It’s called Easy Viral PDF Brander. Easy Viral PDF Brander is a script that you install on your website that allows people to quickly and easily rebrand an ebook without needing to download any special software. Easy Viral PDF Brander is very easy to use. Simply create your ebook the way you normally would using Word or Open Office. When inserting the links you will replace the rebrandable part with a special code. Create your PDF file and upload it to your site and then run Easy Viral PDF Brander. When you visitors want to rebrand your ebook you can direct them to a page on your site where they will be given a list of all the rebrandable links in your ebook. It works sorta like a downline builder. They add they affiliate links to the boxes and when they are finished they can download their ebook rebranded with all of their links. 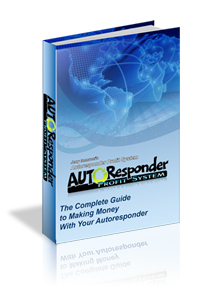 This is a great product for anyone wanting to create viral reports and ebook. To get a copy of Easy Viral PDF Brander click the image below. Over the last few years I have been creating viral reports that I use to promote my Internet business. The way it works is you create a high quality report on a subject that contains links to your websites or affiliate links. You then give that report away for free. Hopefully, if the report is good, some of the people you give it to will pass it on to other people and some of them will do the same. Over time it starts to spread like a virus and eventually there are thousands of reports floating around out there with your links in it. It’s pretty simple but it works. This week a friend of mine named Jay Hines released a new ebook called “Viral Reports Revealed”. Inside Jay reveals some of his best techniques for creating free viral reports and show exactly how to make them go viral. – How to pump out your own library of viral reports in record time, without writing a single word. – How to make others actually want to pass on your viral reports. These secrets are what many are missing. – How to destroy your competition by having your own army of ebooks working as your personal salesmen. 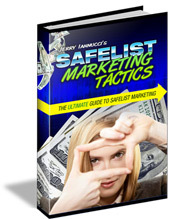 – One guru-coveted strategy that will allow you to both rake in the cash and explode the size of your list with viral reports — off others efforts! Since this is a viral ebook I decided to give it away for free on my site. Nothing to sign-up for. If you would like a free copy of Viral Reports Revealed… click here. The best thing about Viral Reports Revealed is that for a small fee Jay is offering the rebrand rights to his book. That means you can replace all the links in Viral Reports Revealed with your own affiliate links and see first hand the power of distributing free viral reports. To rebrand your copy of Viral Reports Revealed… click here. What the?! Is it really September already? I guess that means it’s time to dig out the stats and see what happened last month. Looking at the numbers… apparently not a whole lot. Commissions were still good but I only personally referred 192 people to my Safelist Marketing Tactics website as opposed to 378 in July. I suppose it could have something to do with the mythical “summer slowdown” but I suspect it probably had more to do with me spending more time in front of the Playstation instead of on my computer generating traffic. I think I spent only a few hours total surfing the traffic exchanges last month. As a result I only received 4 sign-ups from them. Not even worth mentioning where those sign-ups came from. Text Ad Exchanges were about the same. 10 sign-ups all together spread out over about a dozen exchanges. The only one worth mentioning again is Muscle Mail with 4 sign-ups. It’s not surprising that the majority of my sign-ups last month came from safelists. Of course it helps that I am promoting a product that directly targets safelist users. Let’s see how we did. The big news here… ViralAdStore rocks! I think this is the first month something has outperformed List Joe which is impressive since ViralAdStore didn’t launch until the second week of July. I decided to purchase an upgraded membership at Global Safelist last month. I bought a 3-month upgrade and so far it has already paid for itself. Well worth the 15 bucks. Ok, that’s all for now. Hopefully I will be a little more productive this month and get some more updates for you along with a brand new website at the end of the month (knock on wood). Keep in mind that all the stats above are only from my personal experiences and your results may vary. The important thing is that you track your own results to find out what works best for you! If you need a link tracker you can get one for free by clicking the link below.